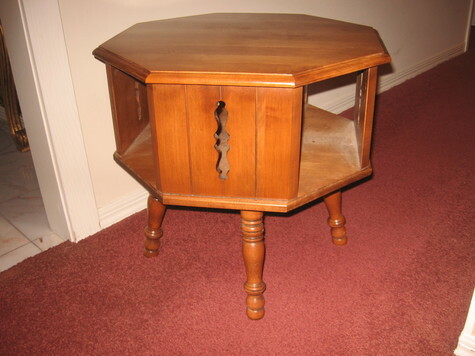 Octagonal Swivel Table with storage for books or other items. 24" wide, 23" tall. Tell City Manfacturer. Mid-Century.